Chocolate — beloved, delicious, and ubiquitous throughout February. It’s everywhere and we can’t get enough. So why not go to the source? Cacao is the reddish pod that sprouts from the cacao tree and grows up to be the main ingredient in the chocolate bars we know and love. It’s raw, bitter, and full of health benefits. It may lack the glamour of its big sister, but cacao is holding its own here in Hawaii. Hawaii is the only state in the U.S. with the proper climate to grow cacao. As such, a market for local cacao (and chocolate!) is emerging. Erin Sharkey of Hilo Sharks Company says cacao needs a year-round temperature of 65 to 70 degrees to grow. Luckily, Hawaii and the microclimates of the Big Island in particular, are a perfect fit. Many local companies are harvesting cacao beans to make chocolate. But what about the raw cacao? “It’s the most complex food in the world,” says Sharkey. 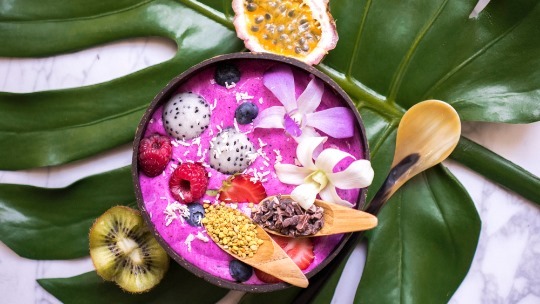 “It has an amazing amount of constituents that are good for the human body.” Sharkey says everyone’s body responds differently, but raw fermented cacao improves blood flow and is good for your eyes and heart. It can even help burn fat and build muscle. Pretty good for a little pod. 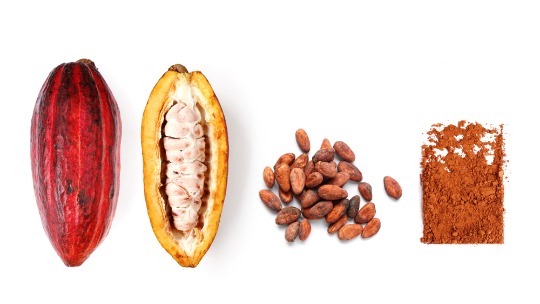 So how can you get more cacao in your life? The easiest way is to find a bag of cacao nibs at your local health food store. They’re sugar-free, have no added fat, and have more antioxidants than highly processed cacao products. Just don’t expect them to taste like chocolate. You’ll want to eat these tiny bitter bits of goodness in something. Try blending them into your morning smoothie, sprinkling them on yogurt, or tossing them into trail mix. If nibs aren’t your jam, try cacao powder in desserts and hot chocolate. Or cacao butter in place of coconut oil. So this Valentine’s Day, boost your serotonin, the cuddle hormone, by sharing some cacao sweets with your sweetie.